The phrase “Failure is not an option” is tossed about with much bravado, as though one could make something work by just their strength of will. But the fact remains, things eventually fail. Everything. How then, do you handle the inevitable failure of your microservices? 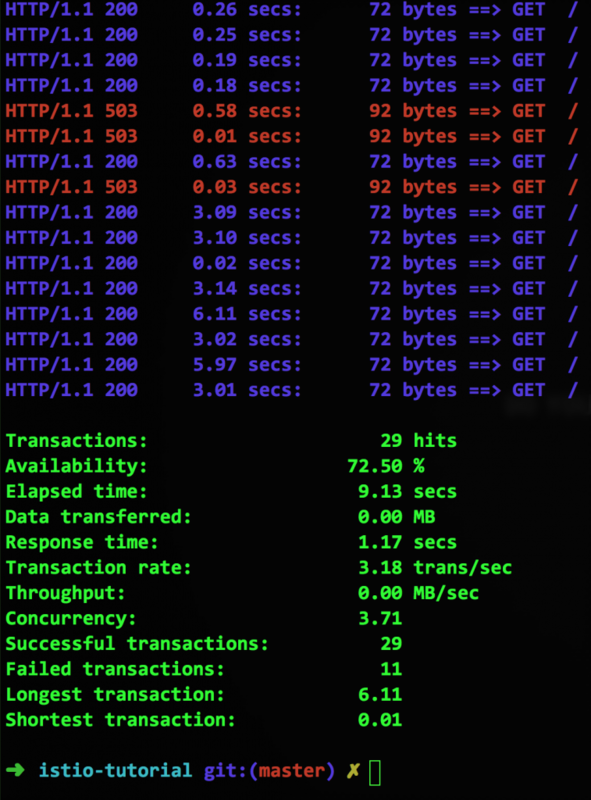 Well, by combining containers, Kubernetes, Red Hat OpenShift, and Istio, we can skip over-the-top displays of swagger, let the system handle things, and get some sleep at night. 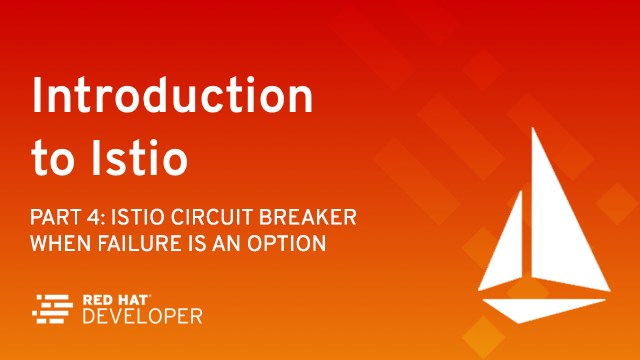 Once again, Istio provides the basis of a popular and well-tested technology: the Circuit Breaker Pattern. Like a circuit breaker in an electrical circuit, the software version allows flow to a service to be shut off. The circuit opens in the case where the endpoint is not functioning correctly. The endpoint may have failed or may just be too slow, but it represents the same problem: this container is not working. Lagging performance is especially troublesome: Not only can the delay cascade back through any calling services and cause the entire system to lag, but retrying against an already-slow service just makes it worse. It’s important to note that this is all at the system architecture level, so to speak. At some point your application will need to account for the circuit breaker pattern; common responses include providing a default value or (if possible) ignoring the existence of the service. The bulkhead pattern addresses this, but it’s outside the scope of this post. Everything is working, but at what cost? While 100 percent availability may seem at first glance to be a win, look closer. 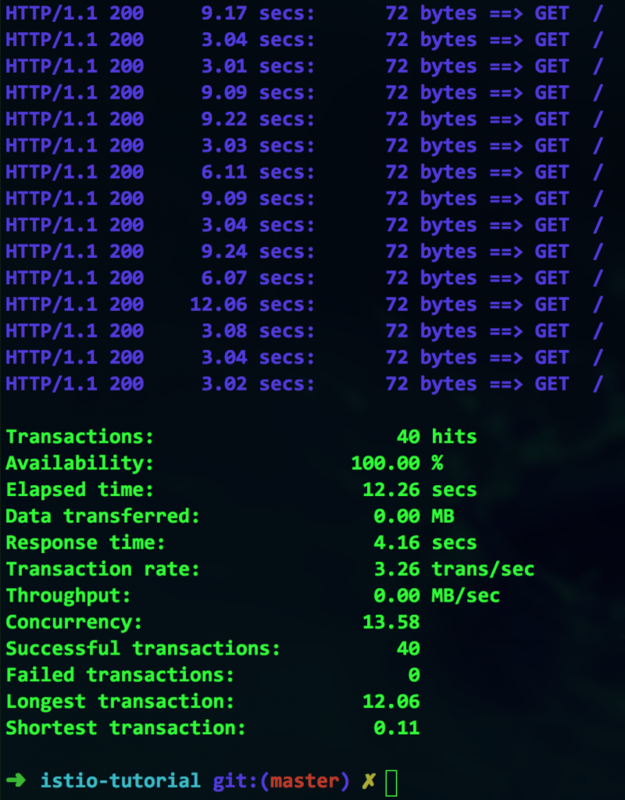 The longest transaction took over 12 seconds. That’s not exactly speedy. We need to somehow avoid this bottleneck. The Circuit Is Broken; Now What? 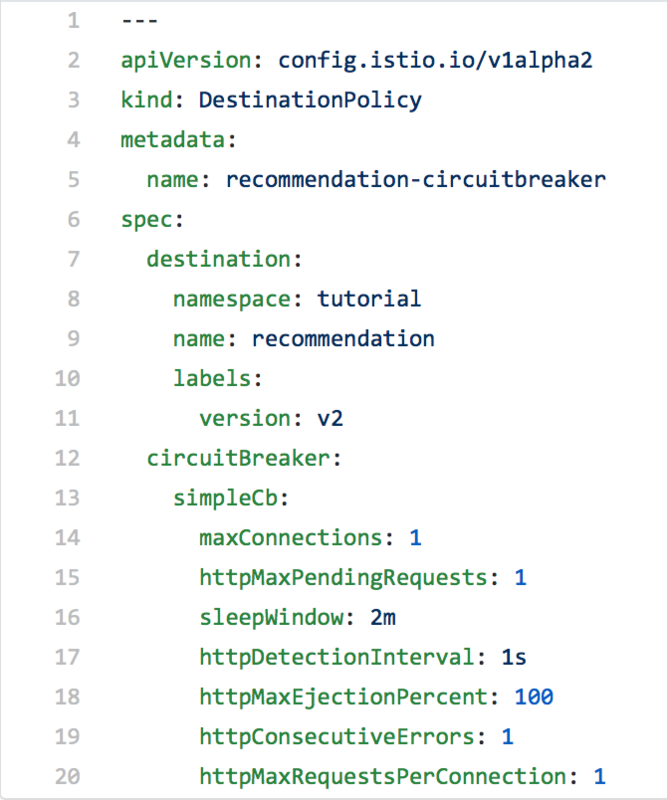 Without changing our source code, we are able to implement the circuit breaker pattern. Combining this with last week’s blog post (Istio Pool Ejection), we can eliminate slow containers until they recover. In this example, a container is ejected for two minutes (the “sleepWindow” setting) before being reconsidered. Note that your application’s ability to respond to a 503 error is still a function of your source code. There are many strategies for handling an open circuit; which one you choose depends on your particular situation.